Indeed its reason to celebrate ..
Nandini who was not able to utter a single word about Rajdeep ..who was living in a cage till now..was not able to protest even..was not allowed to open her mouth ..and was suffering lots ..finally she got the much needed strength and spoke against Rajdeep..
the scene was very significant..where Nandini was remembering all things and about Rajdeep and his tortures and on other side was remembering the good things happened in her life recently ..when Kunal and Mauli entered in her life and she is seeing some light in the darkness and a ray of hope..that scene was brilliantly shot and executed ..and Drashti was superfab in that and how she showed multilayered expressions and emotions in such short span..
another significant scene was when Mauli was talking about Nandini's divorce and Nandini was also thinking about marriage and to get rid of that..very impactful scene ..
followed by another b'ful scene of Kunal making her understand that she should write about her but he didn't knew that how she can write ?as she has stopped thinking about herself long back and now nothing much comes in her mind when she tries even ..
but Kunal also not give up and tried to explain further ..
but such a cute and lovely scene and now let's see if Mauli can find out ..what Nandu wanted to write ..which she cut later on..
even I am curious to know..
and hope this new start will lead Nandini in the direction of her dreams like her bestie said..
and great job by all..
Lovely post...the episode is super awsm...all are good...love the bucket list scene and their cute actions also...curious to know what will happen next...loving the way story is proceeding..
Its so sad that she couldn't find one thing for her bucket list but with Mauli and Kunal, I'm sure she will find something along with her confidence and self-esteem. 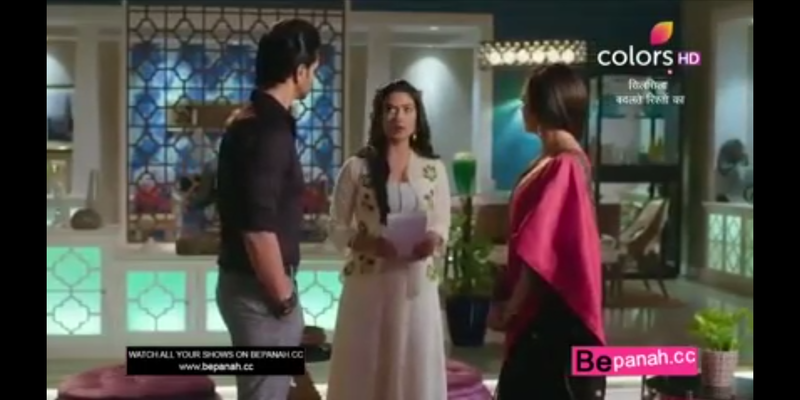 Ya Sabi ..Nandini getting back n yup she will gain courage and say to Rajdeep to get out of her life. Thanks a lot Neena dear ..ya me too loving it. Thanks so much Priya dear.. ya b'day celebration is unique and loved that too..and for Nandini yeah ..fingers crossed..hope she will be able to face it with much courage.